The era of lighted ski trails in the sprawling Mat-Su Borough dawned at the Government Peak Recreation Area on Wednesday night when 4½ miles of trails — illuminated by LED lights attached to 105 poles — officially opened to the public. "There are still little tweaks here and there, and two lights that flicker, but overall it's great," said Ed Strabel, president of the Mat-Su Ski Club. "A lot of people are using it already. " "Even before we got snow, a bunch of walkers were going out on the Pioneer Loop (in the recreation area)." Other than a couple of jury-rigged efforts, Government Peak offers the first lighted ski trails in the 23,000-square-mile borough that's home to more than 95,000 residents. Among them are some 350 kids in the Junior Nordic ski program. On Friday and Saturday, the area will host the Government Peak Invitational High School races, a rare home race for Mat-Su high schools. The Government Peak trails include Pioneer Loop, which is used by an array of nonmotorized recreational users including mountain bikers, skijorers, hikers and dog walkers. The Stadium Loop and Matanuska Loop are ski-only trails. Also bolstering the area is the 4,000-square-foot Government Peak Chalet, on North Mountain Trails Drive in Palmer. Finished in 2014, it includes a commercial kitchen and a warming center for skiers. The Mat-Su Parks & Trails Foundation manages the building and rents it out. The Mat-Su Ski Club maintains the ski trials. More than $1 million has been raised for the trails from the borough, the Mat-Su Health Foundation, the Fishhook Community Council, the Rasmuson Foundation and the Mat-Su Ski Club. 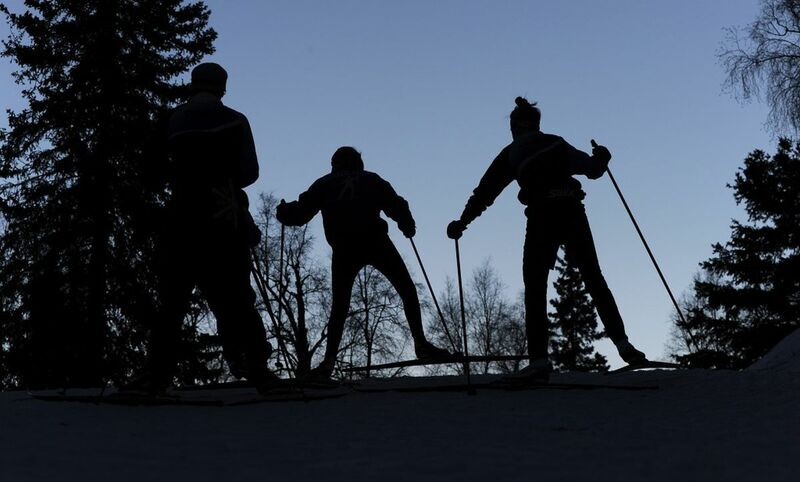 The club "pledged $25,000 toward the inclusion of the Susitna Loop in the project scope to show the borough our commitment to the Government Peak trails," wrote Patty Sipos on the Mat-Su Ski Club website. "Due to the … short time window, the club began an after-the-fact fundraising campaign. "To say that I have been overwhelmed by the response to the fundraiser is an understatement."